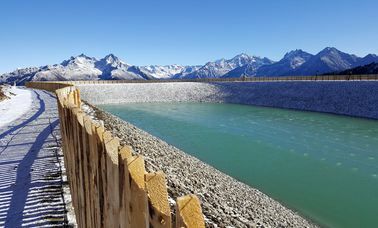 To guarantee the artificial snowing of the whole territory in the future, Speikboden constructed a new water storage reservoir. 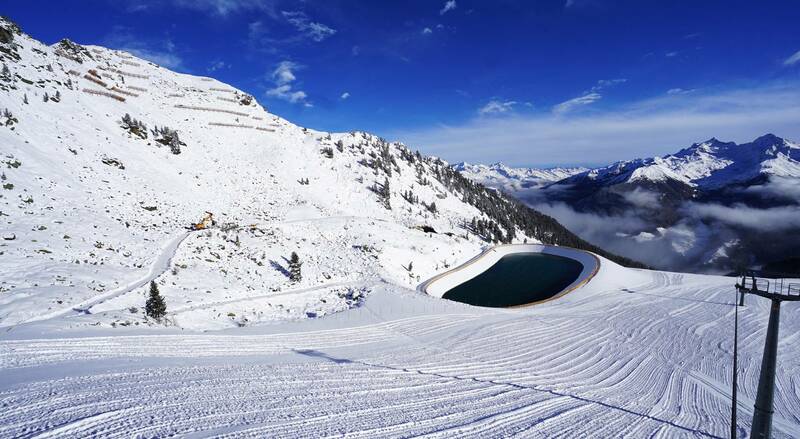 Since 10 years, Speikboden worked very hard on the realization of this very important project, because in winter there is only little water for the artificial snowing procedure of the slopes. 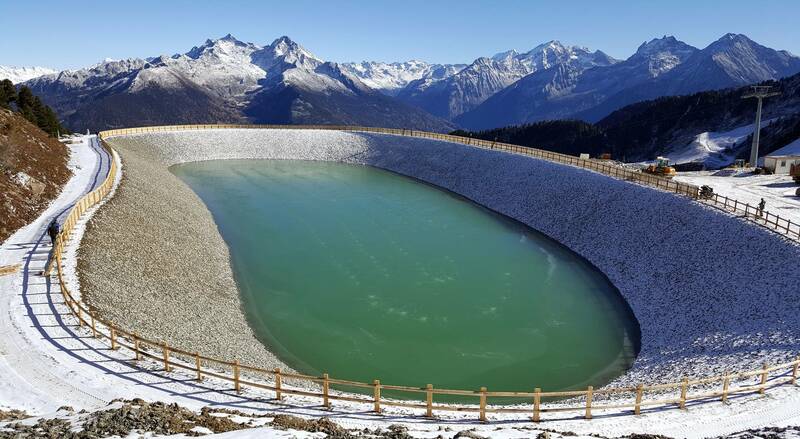 The reservoir has a capacity of 42.000 cubic metres and is situated at the edge of the slope Seenock at an altitude of about 2.200 meters above sea level. Thanks to this investment, all snow guns situated over 1.800 metres above sea level can be runned at the same time. Within just a few days, a solid base of snow can now be provided. 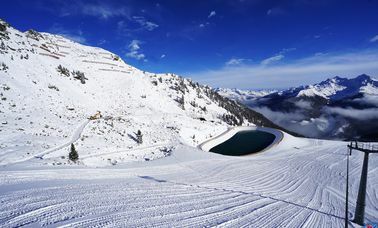 Speikboden can offer perfectly prepared slopes at the beginning of the season. 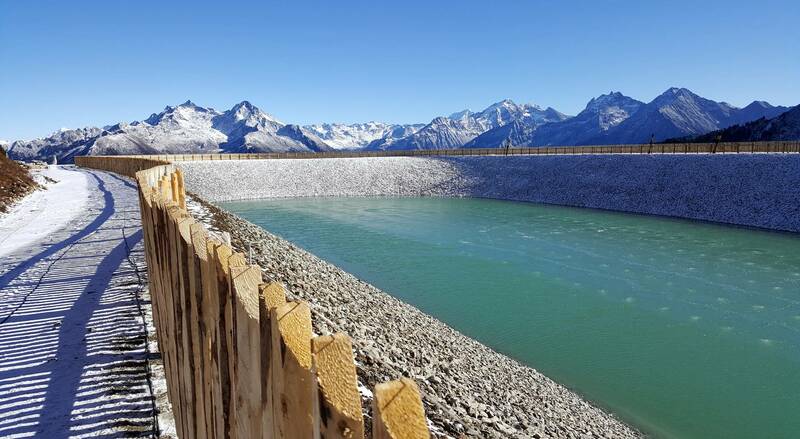 In November 2017, the first water storage reservoir at Speikboden was inaugurated officially by an extraordinary activity. 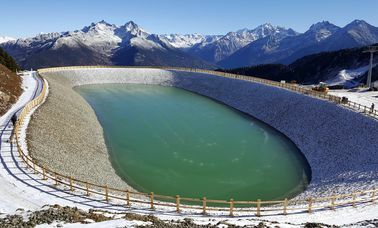 The managing director of Speikboden Cableways, Martin Unterweger, swam through the 42.000 cubic metres seizing reservoir situated at 2.200 metres above sea level, with a water temperature of 2 degree Celsius.